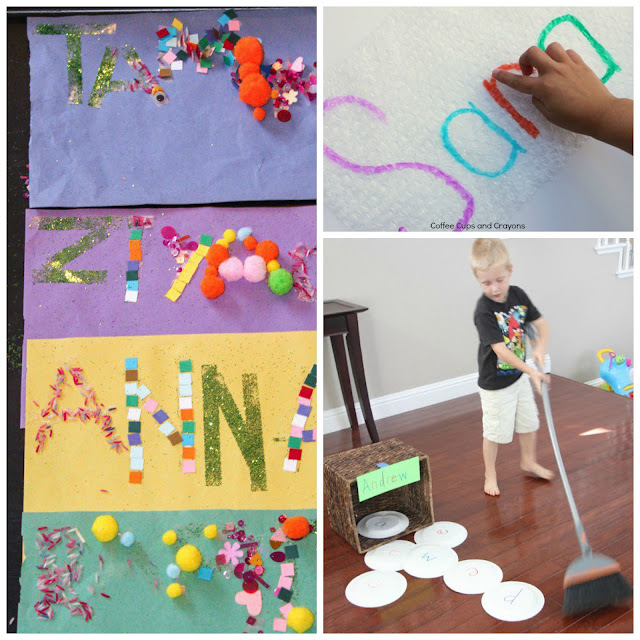 My kids love learning about their names! 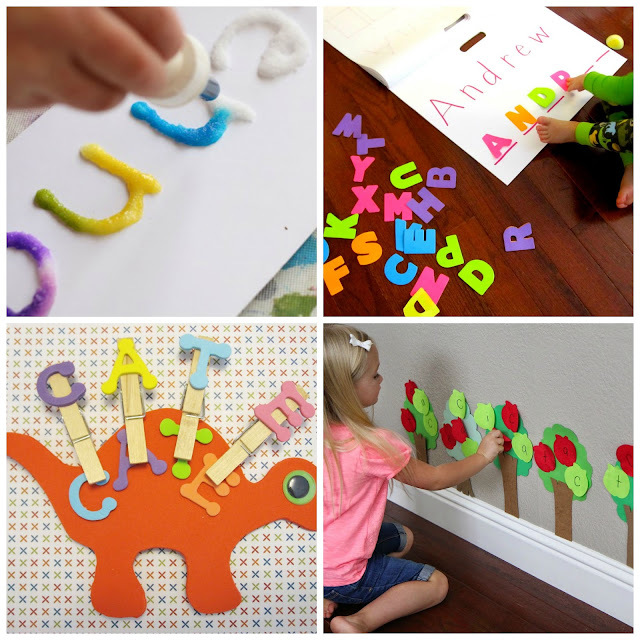 We love to do a lot of movement and art activities related to exploring the letters in their names and building their names. 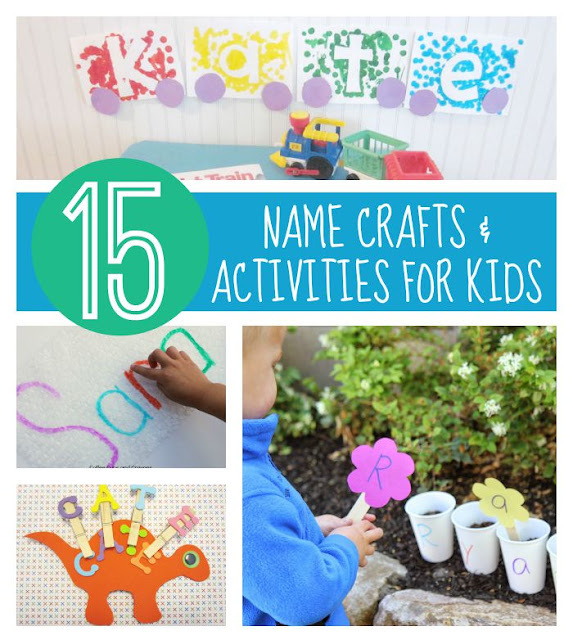 Today I have put together a collection of 15 of my favorite name crafts and activities that we've been pinning over on my Name Activities and Crafts pinterest board. One of the best ways for children to get started learning about the alphabet is through exploring letters that have meaning to them. 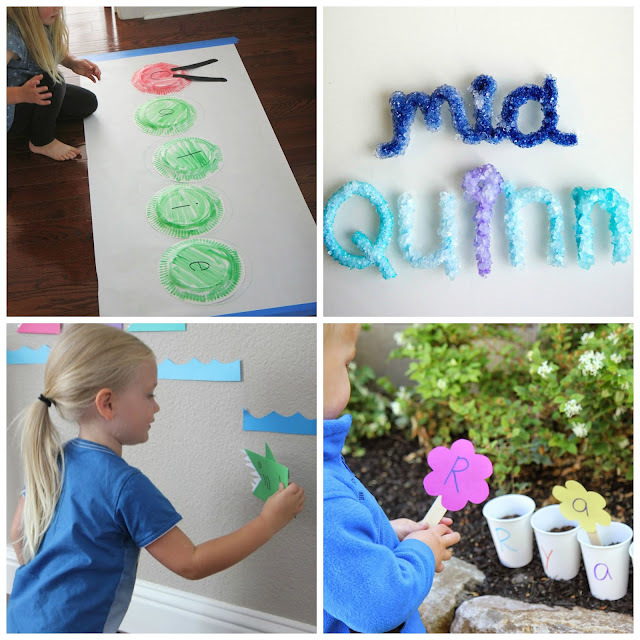 Often the first letters a child will learn are the ones that are in their name. This post shares some creative ways to have fun with names. Just click on the title of each activity below to be taken to the full tutorial. 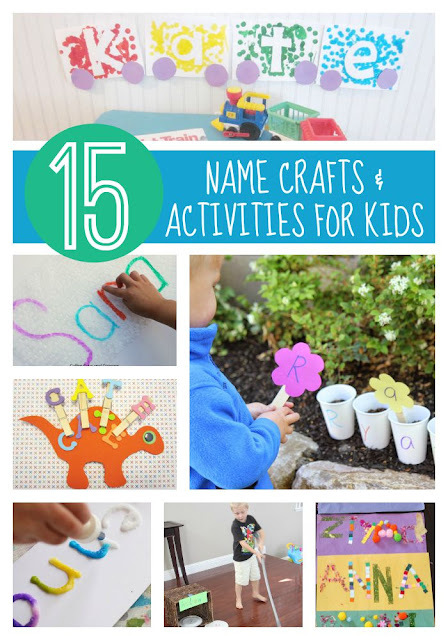 For more name crafts and activities make sure to check out my Name Activities and Crafts pinterest board. 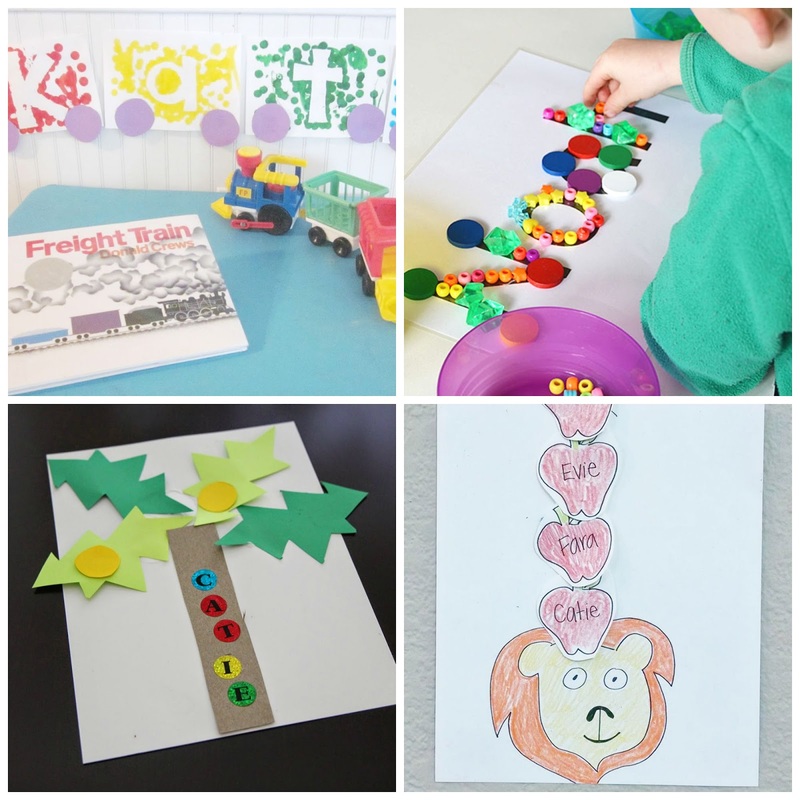 It is filled with loads of learning activities. Do you have any other favorite name crafts or activities? Please share them in the comments! If you have a URL for a blog post, feel free to add it and we will try and pin our favorites to our Pinterest board.